The F-150 is a truck with a legacy. It’s one of the best selling vehicles in the Ford lineup, and the best selling truck in the world for 36 consecutive years. So when Ford decides they’re going to revamp it, you know it’s for good reason. There are some great things in store for the F-150, including changes that were made to the 2013 model, and many more to come in ’14 and ’15. 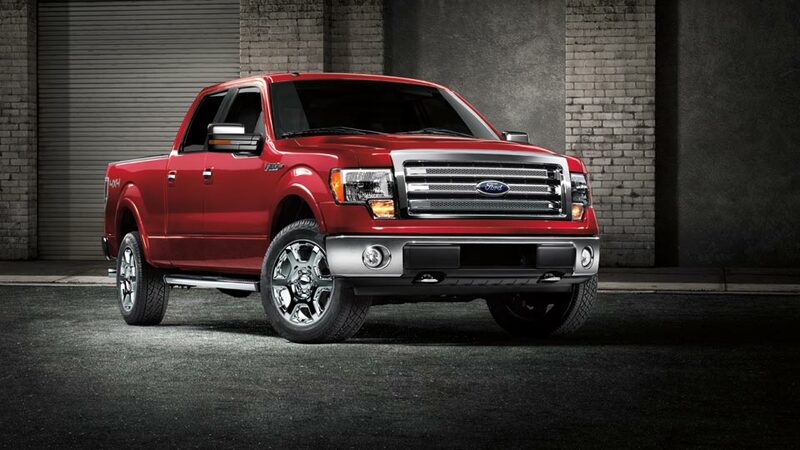 It’s probably worth mentioning here that the 2013 F-150 comes in a whopping ten different trims: XL; STX; XLT; FX2; Lariat; FX4; King Ranch; SVT Raptor; Platinum; and Limited trim packages. Some of the changes are available on specific models and not on others. Ford is well known for their cozy cockpits and Sync system. Since these features are so incredibly popular in their cars, they’ve also opted to add an incredible dashboard to the F-150. The FX2/FX4 and higher trims feature two 4.2-inch LCD screens, as well as a dashboard mounted touch screen that controls the radio, your phone, and the navigation system. The LCD screens show the trip odometer and other gauges. In the Lariat, the LCD screen is 8 inches. There’s a new face on the front of the F-150 as well. Lower models will feature a chrome two-bar grille, while the higher models will feature a three-bar grille. The SVT Raptor trim, however, features a brick wall grill with integrated market lamps, and a nice modern looking FORD logo stretched across it. The engine options behind the grille remain unchanged from 2012. Speaking of the SVT Raptor: given its popularity in 2013, Ford decided to up the ante with it in ’14 with a special package. The Raptor package is mainly cosmetic, with an option of either Ruby Red Metallic or Tuxedo Black Metallic. There’s also the option for box-side graphics that spell out the name of the truck. In addition, you’ll find seat bolsters with cloth honeycomb highlights and applique accents on the console, center stack, and door panels. 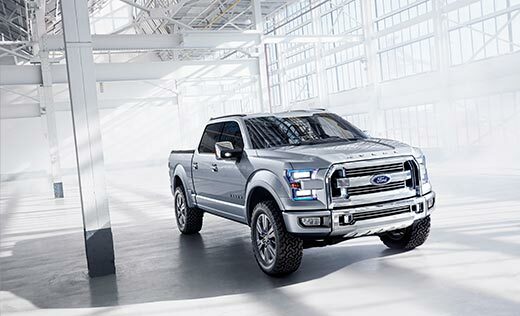 Of course, the Raptor already has plenty of performance, so the focus was making it look less like a pickup truck and more like a luxury truck. 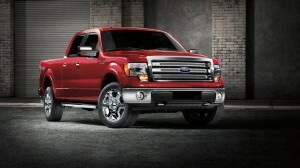 If you want to get your hands on an F-150 today, check out local inventory here. Beyond that, Ford has teased truck fans with hints about its latest truck, the Atlas Concept. The Atlas seems like it will be designed to improve gas mileage with a host of aerodynamic improvements, but you’ll hear more of that as Ford gets closer to releasing it. Posted in F-150, Ford, Future Vehicles and tagged Automotive, Concept Truck, Ford Atlas.